I go a little crazy this time of year. I feel the chill in the air, hear the leaves crunching underfoot and piling a little deeper every day, and it makes me feel like grabbing what little is left of summer and saving it for the cold, damp days to come. 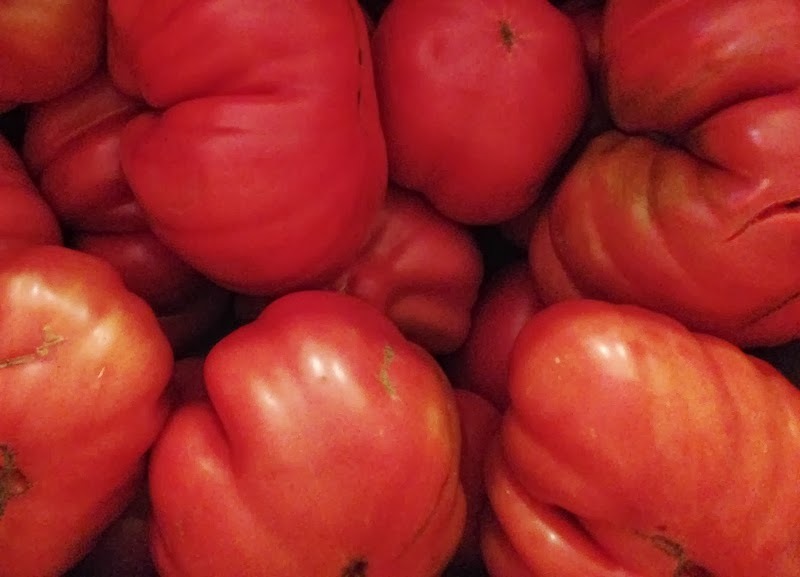 Especially when I hear that Anthony and Carol at Ayers Creek Farm are starting to bring in their astiana tomatoes. For the last three years I've roasted and grilled dozens of pounds of them, let them cool, then bagged them in zip-lock freezer bags and tossed them in the freezer. The roasting concentrates their already deep flavor, and using them in a pasta sauce or for braising a pot roast is like adding the taste of a late summer day to whatever I'm cooking. The method is simple, the time spent well worth it. And if you make enough, it'll make summer last till next summer comes around again. Preheat oven to 400°. Chop tomatoes into large chunks, about 2" across. Place in shallow roasting pan and place the pan on a rack in the middle of the oven. 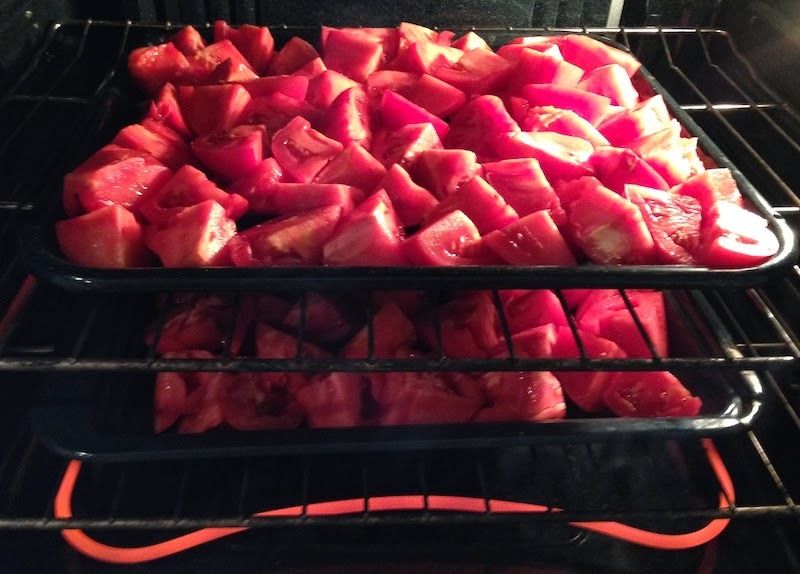 Roast for one hour or until tomatoes are tender and some are starting to brown on the edges. Scoop from pan into large mixing bowl and allow to cool. 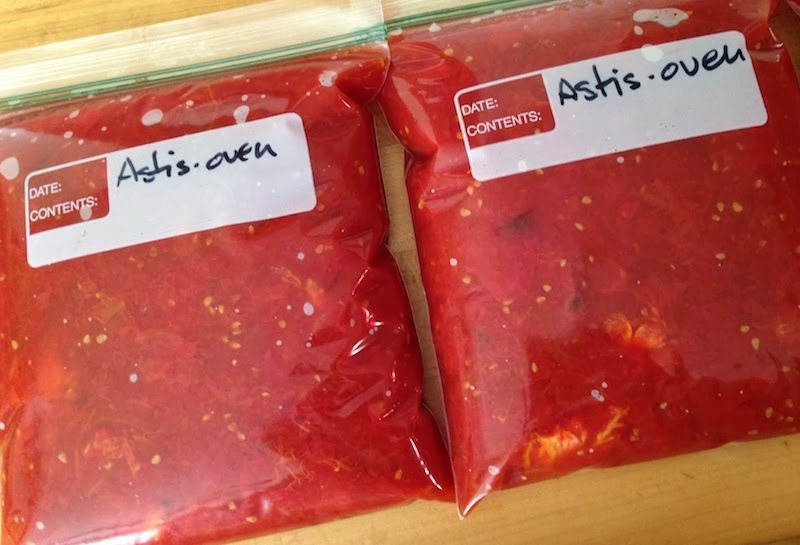 Remove skins if you want (they should just slip off), then ladle into quart freezer bags. Freeze and use all winter! For grilling method, see Tomatoes Galore.